Nicky Harman lives in the UK. She is co-Chair of the Translators Association (Society of Authors). She taught on the MSc in Translation at Imperial College until 2011 and now translates full-time from Chinese. She focusses on fiction, literary non-fiction, and occasionally poetry, by authors such as Chen Xiwo, Han Dong, Hong Ying, Dorothy Tse, Xinran, Yan Geling and Zhang Ling. When not translating, she spends time promoting contemporary Chinese fiction to the general English-language reader. From June 2015-June 2016, she, along with Eric Abrahamsen, Dave Haysom and Helen Wang, ran READ PAPER REPUBLIC, posting and promoting a free-to-view short story every week for a year, a project which continues to develop. She writes blogs, give talks and lectures, and runs literary events especially with the London Free Word Centre, Southbank Centre and the Writing Chinese project (Leeds University). 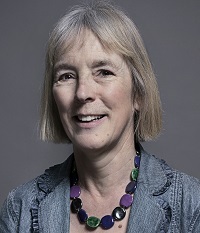 She also mentors new translators, teaches summer schools, and judges translation competitions: the Harvill Secker Young Translators Prize 2012, and the Writing Chinese Translation competition, run by the White Rose East Centre, University of Leeds. Also occasionally reviews China books for the UK's Tribune magazine (eg review of Sheng Keyi's Death Fugue, Giramondo, 2014) . She tweets, with Helen Wang, as the China Fiction Bookclub @cfbcuk. Jia Pingwa, Happy Dreams, Amazon Crossing, 2017. Paper Tiger, essays by Xu Zhiyuan, co-translated with Michelle Deeter, Head of Zeus, 2015 (awarded a PEN Translates grant). Sissy Zhong by Yan Ge, published READ PAPER REPUBLIC. January:Bridges, by Dorothy Tse, published READ PAPER REPUBLIC. The translation and editing of this story is discussed and illustrated here: Free Word Centre. Also, 2015-2016, READ PAPER REPUBLIC short story series: launching, planning, translating, editing, promotion and publicity. The Book of Sins by Chen Xiwo published by FortySix, October 2014. White Horse, novella by Yan Ge, Hope Road Publishing, October 2014. A Tabby-cat's Tale by Han Dong, winter 2014. The Unbearable Dreamworld of Champa the Driver by Chan Koon-chung, Doubleday, April 2014. Snow and Shadow, short story collection by Dorothy Tse, East Slope Publishing, March 2014. A New Development Model and China’s Future, by Deng Yingtao, Routledge, March, 2014. The Stone Ox that Grazed, short story by Sun Yisheng in Asymptote, April 2014. A Loud Noise, poems by Han Dong, March 2014. Urban Control and the Modernist City - essay by Leung Man-Tao, in LA Review of Books, originally appeared in Paper Republic, August 2013. The Shades who Periscope through Flowers to the Sky, by Sun Yisheng, for Words Without Borders, December 2012, and Dad, Your Name is Bao Tian, by Sun Yisheng, for The World of Chinese, March 2013. Old Man Xinjiang, by Xue Mo, in China Stories for the Guardian newspaper, April 2012. 'Goodbye to Anne', in the novella collection The Road of Others, by Anni Baobei, Makedo Publishing, 2012. Throwing out the Baby, by Xu Zechen, in Words Without Border, April 2012. Short stories for Ou Ning's Shenzhen & Hong Kong Bi-city Biennale of Urbanism/Architecture, 2009, and literary magazine Chutzpah, 2010 and 2011. Message from Unknown Chinese Mothers (Author: Xinran), Chatto & Windus, 2010. China Witness (author: Xinran), oral history Co-translator with Esther Tyldesley and Julia Lovell. Chatto & Windus , 2008. Banished! (author: Han Dong) (《扎根》 韩东), novel. University of Hawai’i Press, 2009. Won a PEN Translation Fund Award (2006) for this work. Longlisted for Man Asian Literary Prize, 2008. ‘Long Corridor, Short Song’ (author: Zi Ren, in To Pierce the Material Screen: An Anthology of 20th Century HK Literature, to be pub. Renditions, Hong Kong 2008); (《长廊的短调》 梓人) short story. China Along the Yellow River (author: Prof. Cao Jinqing, pub. Routledge Curzon, December 2004); (《黄河边的中国》 曹锦清) sociology of rural China. K – The Art of Love (author: Hong Ying, pub. Marion Boyars, 2002); (《K》 虹影) novel. 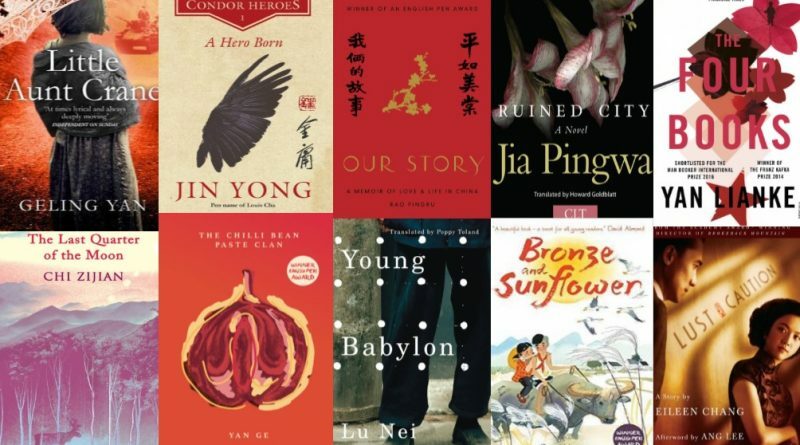 Foreign Culture, Foreign Style: a Translator’s View of Modern Chinese Fiction. In Perspectives: Studies in Translatology 14(1): 13-31. (2006). Beyond Paper Dictionaries: Mining the Web for Technical Terminology in Chinese (available from http://isg.urv.es/cttt/cttt/research.html, or on request from NH). Visiting Fellow at the Research Centre for Translation at Chinese University Hong Kong, April 2006. Visiting Scholar, Fudan University and Beijing University, China, 2008. 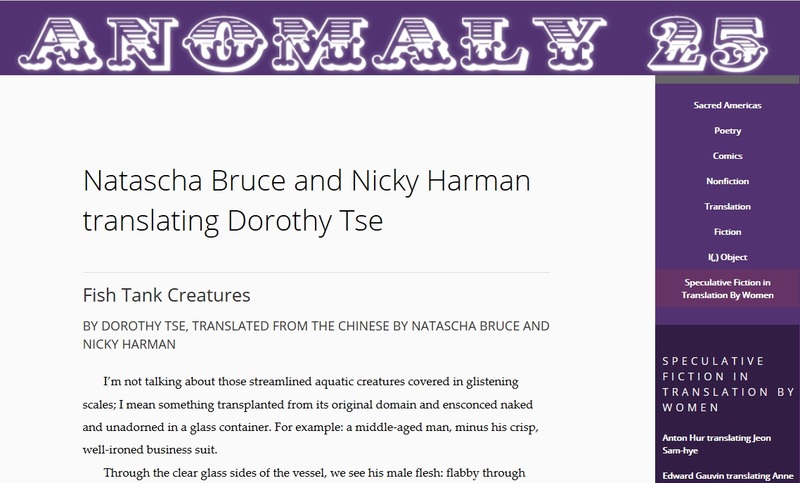 Nicky Harman translated for READ PAPER REPUBLIC, week 3, 2 July 2015, and READ PAPER REPUBLIC, week 10, 20 August 2015. Paper Republic, One-Way Street Magazine and the LA Review of Books’ China Channel publish new essay by Chinese writer Liang Hong, translated by Michael Day. Paper Republic is delighted to announce the publication of a new creative non-fiction essay. 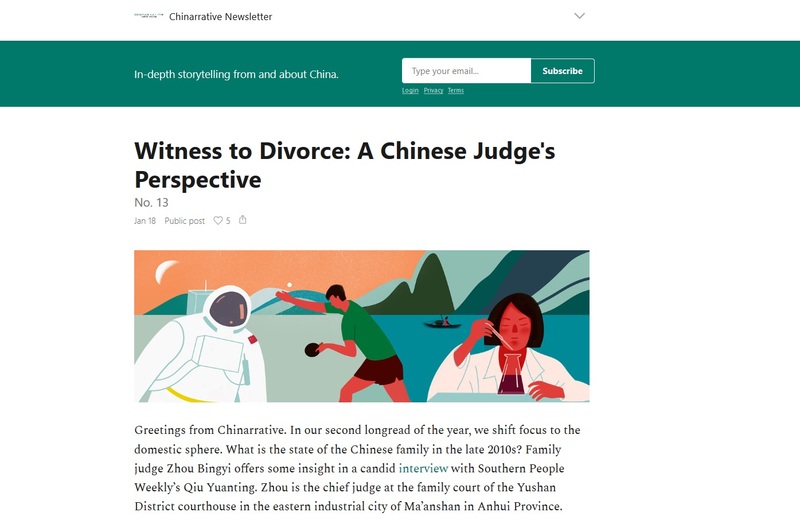 This marks the launch of a second series of Read Paper Republic: China Dispatches, a unique three-way collaboration between Paper Republic, One-Way Street Magazine (单读) and the Los Angeles Review of Books’ China Channel. The series focuses on translating the best non-fiction coming from China right now – and making it available online, completely free to read. The first instalment – “A Fortune-teller in a Modern Metropolis” by Liang Hong – is translated by Michael Day. 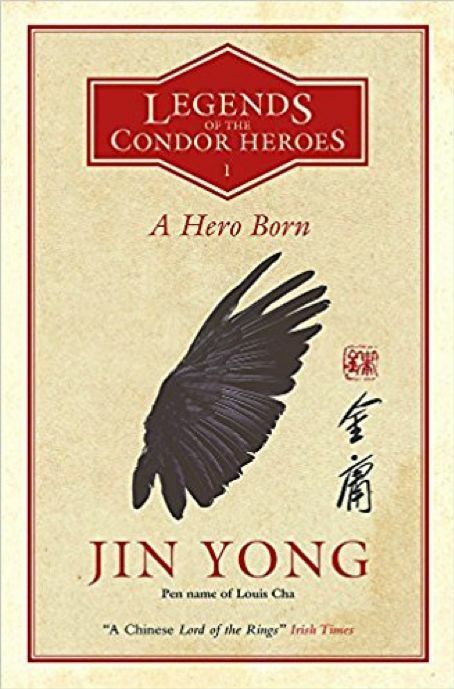 The essay tells the story of Xian Yi, a man in an old profession that is curiously out of step with modern China. 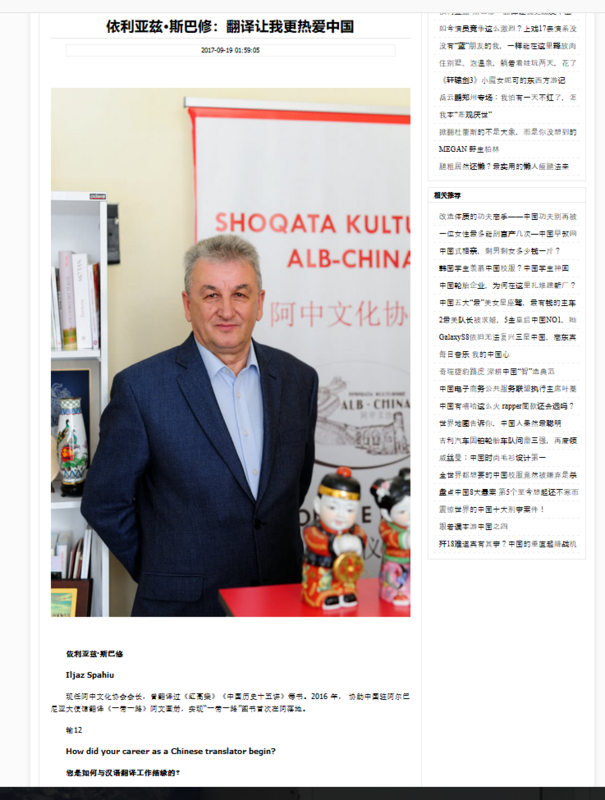 Chinarrative newsletter - In-depth storytelling from and about China. For interested readers, here's an online newsletter, launched May 2018 and now twice-monthly. They feature Chinese longform in translation and also some original English submissions by Chinese authors. The founder and publisher is Colum Murphy, a veteran Asia-based journalist, and Min Lee is the current editor and lead translator. They would love to hear from the translation community, be it comments, suggestions or story ideas. 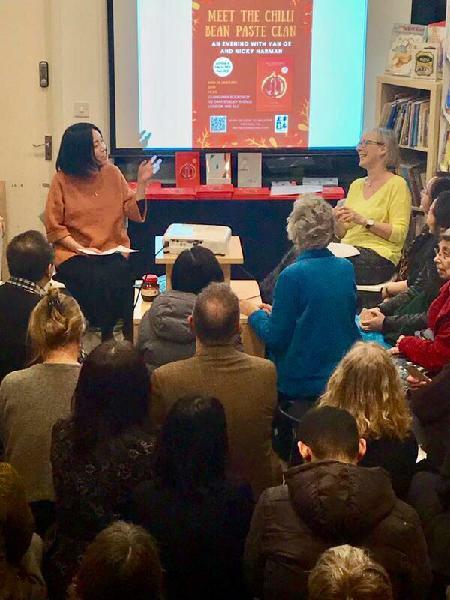 The Guanghwa Bookshop (Shaftesbury Avenue, London) was packed for our "[Un]Happy Family" event with Yan Ge and translator Nicky Harman last night. We talked about Yan Ge's novel The Chilli Bean Paste Clan (in Chinese《我们家》), its complicated characters, and what was in Yan Ge's mind when she created her middle-aged male [anti]hero, when she herself was in her mid-twenties. And we talked about the challenges of translating colourful Pixian Town obscenities into English, a language where swearing is kind of pale by comparison...and much much more. Thank you all for coming! The brilliant Charlotte Collins has chosen at least one great translation for each of the last 60 years. Read about them here or on Twitter #TA60, or on Charlotte's Facebook page. And keep following until next June, and like and share, of course. She has unearthed some fascinating nuggets of information about some classic novels. We say this every year, but this really is a bumper crop. 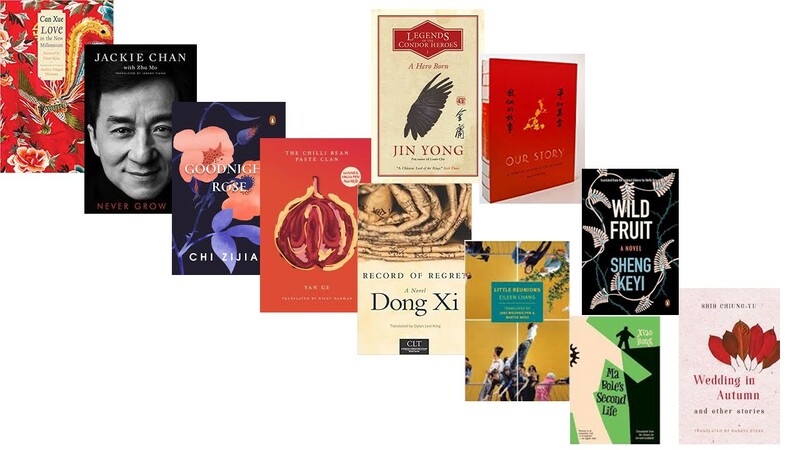 From classics to contemporary literature, poetry to scifi to short stories and a beautiful graphic memoir (Rao Pingru), our list this year has nearly forty novels or other book-length works, and six poetry collections. Remains of Life by Wu He, tr. Michael Berry (Columbia University Press), 2017, was shortlisted for the Best Translated Book Award 2018. Notes of a Crocodile, Qiu Miaojin, tr. Bonnie Huie (New York Review Books), was longlisted for the 2018 PEN Translation Prize and won the 2018 Lucien Stryk Asian Translation Prize. The Stolen Bicycle, by Wu Ming-yi, tr. Darryl Sterk (Text Publishing Company), was longlisted for The Man Booker International Prize. 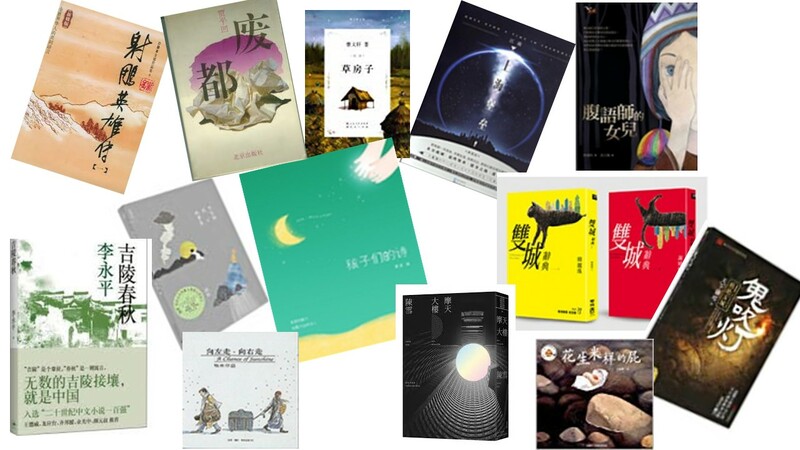 Click Roll-call of Book Translations from Chinese in 2018 for the full list. And finally, our previous years' lists start here. And people think translating Chinese into English is exotic? Chen Xiwo has some very interesting things to say about his short story 'Pain,' from his collection in translation, The Book of Sins, in a discussion on the Los Angeles Review of Books, with his publisher Harvey Thomlinson, LARB's editorial team, and me, Book of Sins translator. Edizioni Ca' Foscari are proud to announce the publication of the first volume of the peer-reviewed series "Translating Wor(l)ds". Littérature chinoise et globalisation. 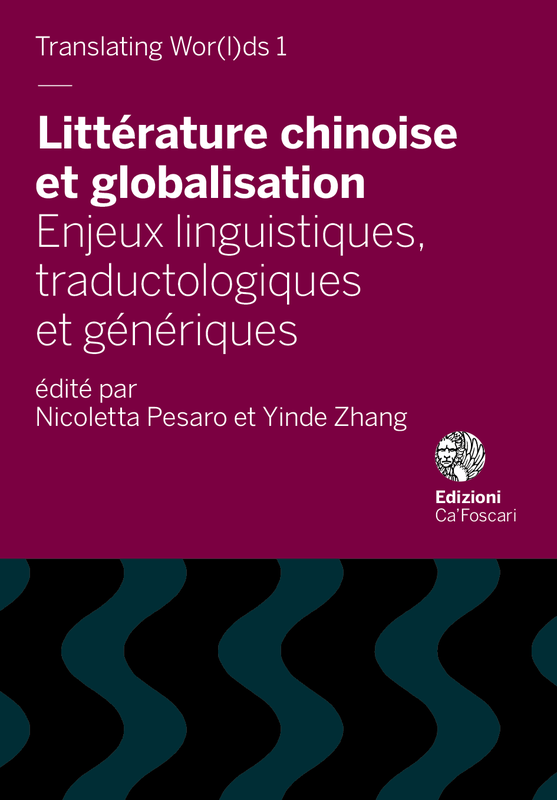 Enjeux linguistiques, traductologiques et génériques, edited by Nicoletta Pesaro and Yinde Zhang, is available in open access here Lots of interesting articles by eminent translators and academics like Martina Codeluppi, Nicoletta Pesaro, Victor Vuilleumier, Yinde Zhang, Shuang Xu, Noël Dutrait, Paolo Magagnin and Barbara Leonesi. Today's news: our very own Helen Wang has been recognised on the international stage for her “special contribution” to children’s literature at the 2017 Chen Bochui International Children's Literature Awards in Shanghai. Details in this link. 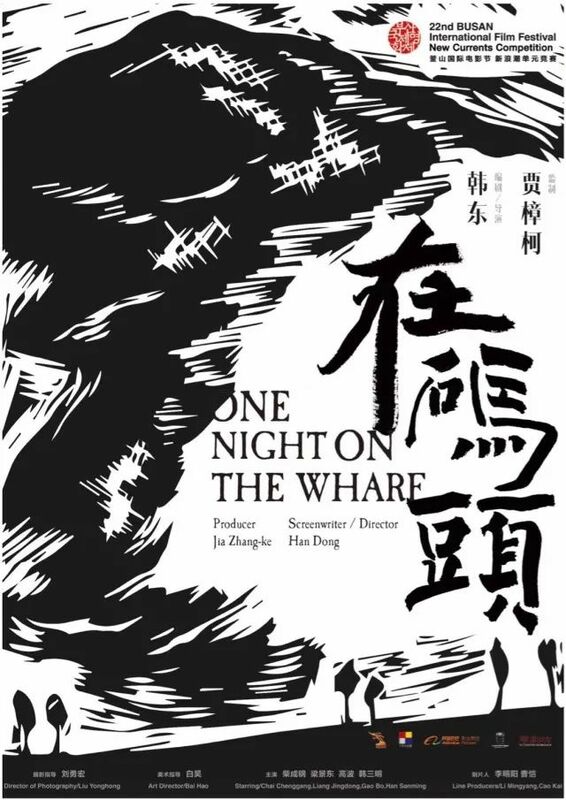 Han Dong's first film, One Night at the Wharf, adapted from his novella At the Wharf/在码头, had its first showing at Busan Film Festival last week and got a decent review in Variety. Han Dong directed it, Jia Zhangke was the producer. No news about when it's coming westward yet. More pictures of the screening here.